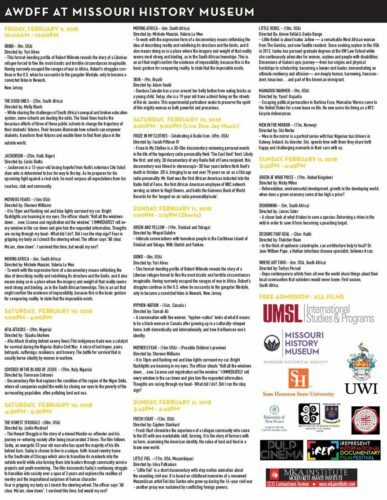 The 11th annual Africa World Documentary Film Festival, sponsored by the E. Desmond Lee Professorship in African/African American Studies at the International Studies and Programs office, University of Missouri-St. Louis, MO will take place Friday, February 9th to Sunday, February 11, 2018 at the Missouri History Museum (5700 Lindell Blvd. in St. Louis, 63112). The international festival, which is committed to the promotion of knowledge, life. 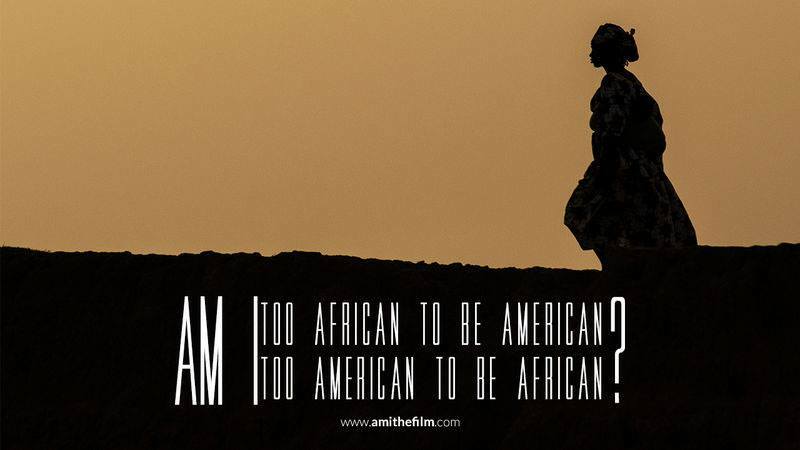 and culture of the people of Africa worldwide, in a Pan-African context through cinema, will feature 24 films from 16 different countries, including South Africa, Norway, Nigeria, South United Kingdom, Brazil, Haiti and the USA during its official opening in St. Louis, MO. After the opening weekend in St. Louis, the festival travels to different venues in US and around the world, including Philadelphia, Ghana, Barbados, Trinidad & Tobago, Jamaica, South Africa, and the United Kingdom. For its eleventh season, the festival selected 50 excellent documentaries out of the 185+ submitted by filmmakers from Australia, Brazil, Canada, Cape Verde, Central Africa Republic, China, Cuba, Democratic Republic of Congo, Denmark, Egypt, Ethiopia, Ghana, Italy, Jordan, Liberia, Netherlands, Nigeria, Sierra Leone, South Africa, South Sudan, Spain, Sudan, Switzerland, Trinidad & Tobago, United Kingdom, Uganda, and USA. Some of the major subjects covered in these selected documentary films are Art, Business, Crime & Violence, Culture, Education, Gender, History, Human Trafficking, Immigration, Identity, Music & Dance, Traditional Religion, Personal Biographies, Politics, Poverty, Race, Society, Sport, as well as Women’s Issues. The festival is free and open to the public and includes discussions with some of the filmmakers and experts in the subject areas following the screening of the films. Middle and high school students from St. Louis area, including students from Pamoja Preparatory Academy (an African centered St. Louis Public School) and Grand Center Arts Academy (a confluence Charter School that focuses on dance, orchestra, band, visual arts, choir, and theater), are expected to attend the opening day of the festival on Friday, February 9, 2018. Popular St. Louis DJ, Dee Jay Wiz will provide live entertainment for the audience to commemorate legendary Chicago radio personality Herb ‘The Cool Gent’ Kent prior to viewing the documentary on Kent, titled “Froze in my Clothes” on Saturday at 6pm. Other documentaries screening on Saturday are “The Honest Struggle” about a devout Muslim ex-offender from Chicago Southside, and his journey re-entering society after being incarcerated 3 times; “Afia Attacks”, which is a story about the hardships faced by Biafran women during the Nigerian Civil war; and “Covered in the Blood of Jesus” which explores the conditions of Oil, Poverty and Christianity in the Nigerian Niger Delta. A variety of short films will screen as part of the day-long festival on Sunday, February 11th. READ: THE WEEKND, EMINEM AND BEYONCE TO HEADLINE COACHELLA 2018.